Louth Academy Lower Campus. Pictured are Year 8 students (l-r) Lexie Waldron, Bradley Wraith, Evie Wood, Callum Jones, Lakeisha Goodyear and Teo Gordon with (l-r) Rob Colbert (Vice Principal), David Hampson OBE (CEO, Tollbar MAT) and Martin Brown (Executive Principal Louth Academy). A new era for education in Louth has begun with the completion of the unification of Louth's two non-selective schools. Louth Academy has now merged with the former Cordeaux Academy to form one Academy based across two campuses, with an Upper and a Lower School. During the summer break, Tollbar Multi Academy Trust has invested almost £500,000 at Louth Academy Lower Campus, which has now opened for the first time to students in Years 7 and 8 only. Three hundred and thirty one students have begun the Autumn Term at the Lower Campus on North Holme Road, which has undergone major refurbishment works in the last six weeks. These include the creation of five new Humanities classrooms, two new IT classrooms, a new playground and marked sports courts, new safety fencing, new windows, doors and roofing, new shower and changing rooms for P.E., a new academy hall, completely revamped corridors and a totally new IT system. Work is continuing to complete a new Music Room, Art Room and a high-tech Fitness Suite/Multi Gym this half term. Further refurbishments will continue throughout the academic year at the Lower Campus. Investment in the Upper Campus (Monks' Dyke Road), which began in 2017, has also continued throughout the summer months. 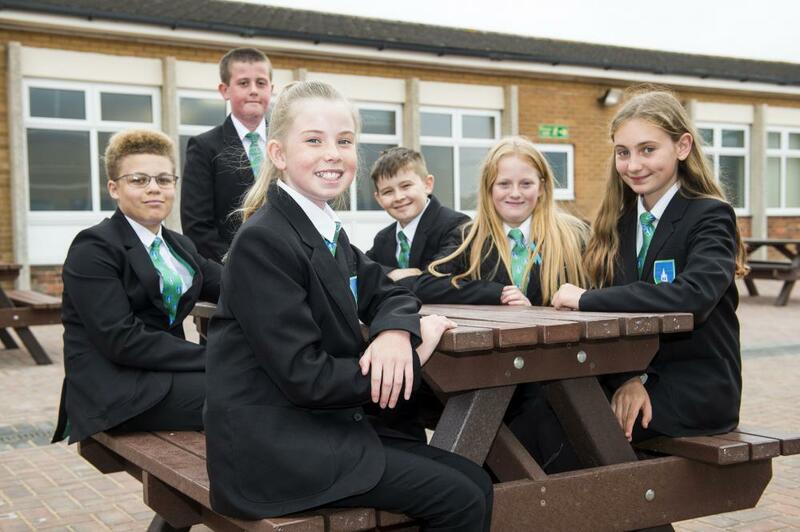 Improvements there so far include new classrooms and an impressive new Fitness Centre, a new playground and staff car park, new Music Rooms, Science Labs, Art Studios, a revamped sports hall with new toilets and showers, and a new dedicated SEN block. The next stage will be the refurbishment of the English and Humanities faculties. The Upper Campus now has 480 students in Years 9, 10 and 11. 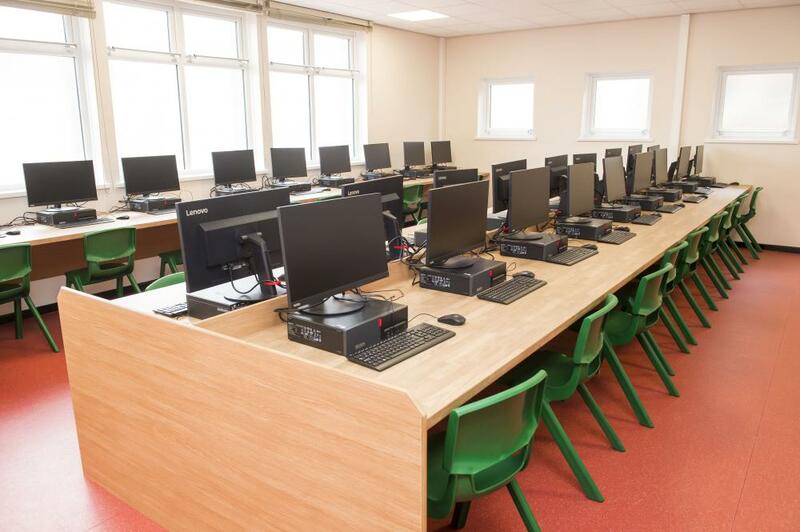 One of the two new IT rooms at Louth Academy Lower Campus. Year 8 student Evie Wood (12) described the changes at Lower Campus as "brilliant." She said: "Everything so far seems better. We have all new tables and chairs, which are clean and great, no chewing gum. The outside Quad is now all block paved with lots of benches, which means that we can sit out at break times and chat and eat with our friends. The fences make me feel a lot safer too. Even our planners are better as they have much better covers on them. The toilets are amazing, and we have a new students' reception which is so much faster. The staff are very friendly and happy to fill up our water bottles, and there is no rubbish now because we have lots of bins around the site." Fellow student Teo Gordon (12) said: "For me, the best bit is the new basketball and handball courts. I like to play basketball and they have improved the painting on the floor so that it is all set out for shooting. "I think the Year 7s have found it a very welcoming starting here today and it is a lot less daunting for them too because they have only us Year 8s on this site with them and we are all of a similar age." Martin Brown, Executive Principal of Louth Academy, said: "It has been a pleasure to welcome the new Year 7 students to a combined Louth Academy today, and it is good to see all of the year groups mixing for the first time and enjoying the new facilities and resources that the Trust has been able to provide." David Hampson, Chief Executive of Tollbar Multi Academy Trust, said: "We are continuing to invest heavily in resources for the students at Louth Academy to provide the best possible environment in which they can learn. We are keeping our promises to the people of Louth to provide an outstanding education for these students and our excellent teaching staff are now in place to ensure that these students have the best possible opportunities at this stage in their lives." Year 8 students enjoy the newly-refurbished Quad, which has been block paved and provided with outdoor benches for lunch and break times.